The brass apple locket is adorned by wire-wrapped Czech glass beads. Something tiny can be kept inside. 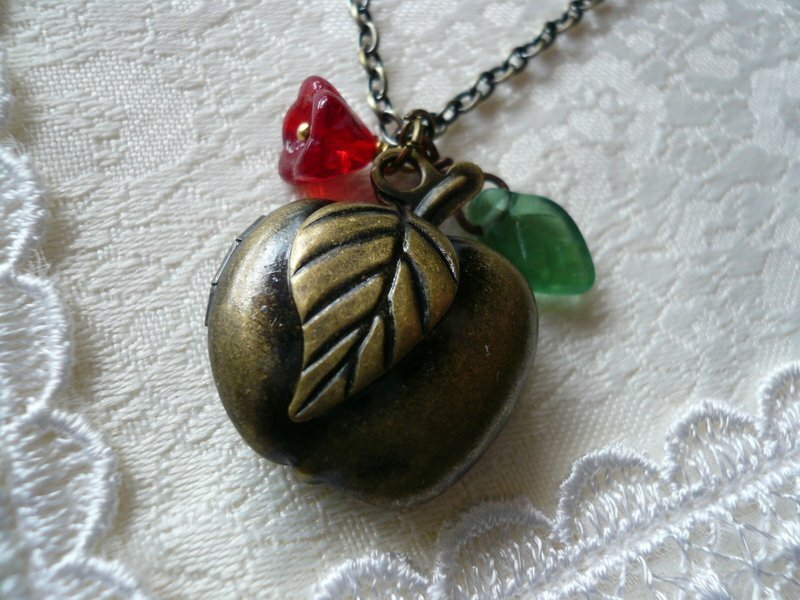 The Red Apple Fruit Locket Necklace will arrive gift boxed & be sent by Registered Airmail providing a tracking number. Thank you for visiting JewelFairy.